This is the nicest white wall tire we offer. Continental is top of the line in the industry. 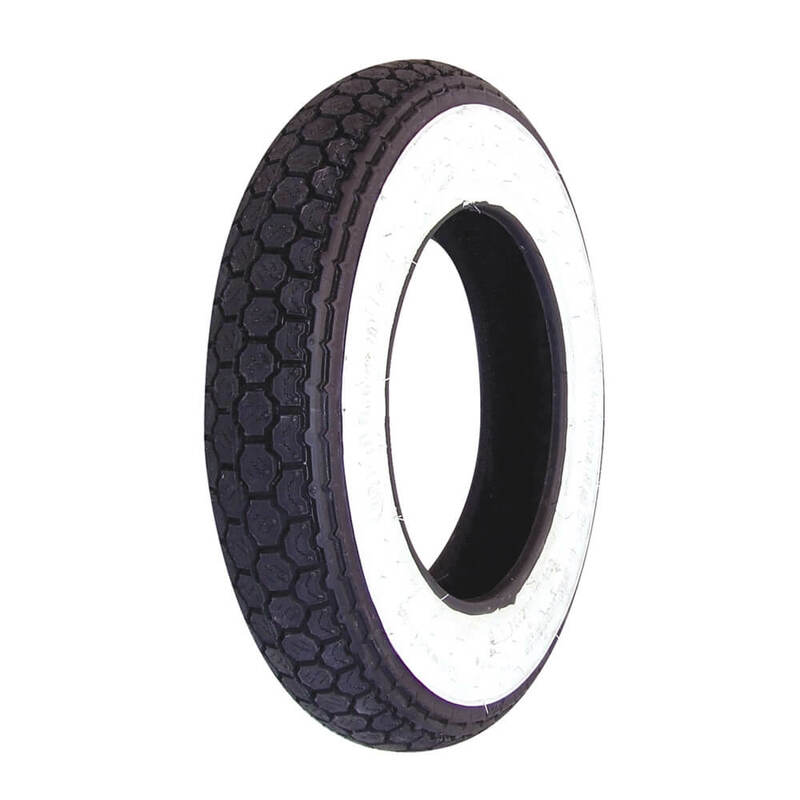 It has their standard performance tread pattern on hi-quality rubber. The white wall is very clean and neat at the seams. This is the 3" x 10" tire for vintage small frame bikes with 3" x 10" wheels. Every Continental tire purchased through Scooterworks comes with free Flat Tire Road Assistance. If you have a spare, Continental will change it for you. If you don't, they will tow you up to 150 miles. Online registration and further details can be found at www.totalconfidence-plan.com. Tires must be registered within 45 days of purchase to qualify.